I’m still surprised at how often people tell me they just “can’t do” Fair Isle knitting patterns. Their fear is two-pronged: Fear of choosing yarn colors and fear of the Fair Isle knitting techniques involved. They’re convinced that they lack the skills required. However, traditional Fair Isle colorwork has built-in “rules” for both. 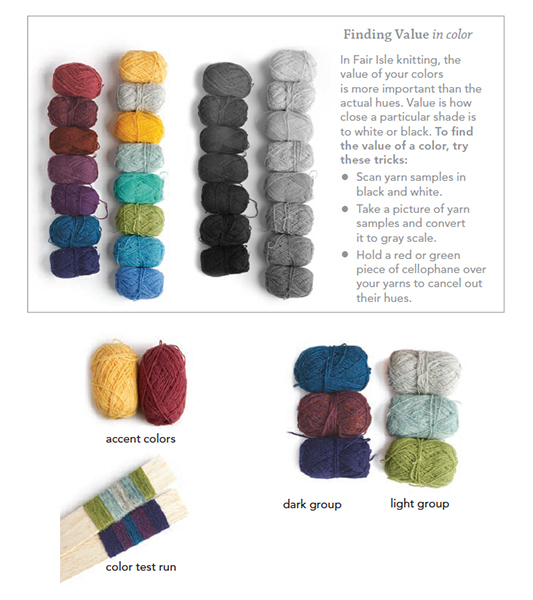 These traditional approaches to color and technique, developed with efficient use of time and materials in mind, stem from the practicality of the frugal population of remote Fair Isle. Belonging to the Scottish Shetland Island group, this windswept island is located where the Atlantic Ocean meets the North Sea. The islanders developed colorful, warm garments flexible enough to work in. The distinctive patterning of traditional Fair Isle knitting is a clever way to combine the many odd bits of different-colored yarn that came originally from the native Shetland sheep, which have evolved a variety of natural fleece colors. 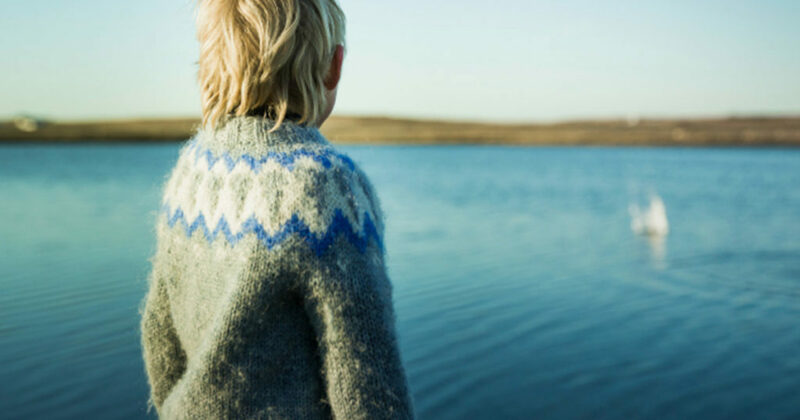 And the islanders knitted with two yarns to create two layers that trap air and create warmth. Although I’ve mentioned “rules,” Fair Isle knitting is a living tradition with styles that change continually. There are no “right” ways to do things, only ways that please you. Choose your yarn colors in clear natural daylight. Begin with a pile of colors that you like. Separate the pile into a group of light colors and a group of dark colors. As we discussed above the most important aspect of each color is its value: its relative darkness or lightness. Arrange each color group further in a value sequence from dark to light. Choose three colors from each group: a darkest color, a medium color, and a lightest color. Select a couple of crazy or odd colors you might want to use as occasional accents. Set them off to the side. Line up your choices next to each other. Is there enough contrast between the corresponding groups? The darkest color of the light group should be lighter than the lightest color of the dark group. Designate one group as pattern colors and the other as background colors. After you’ve settled on your colors, give them a test run before swatching. Try wrapping several strands of each color around a card or flat stick in the sequence you want to use. Or make I-cord snakes, knitting an inch or two of each color, and carry them around for a day to see how they look in different lights. 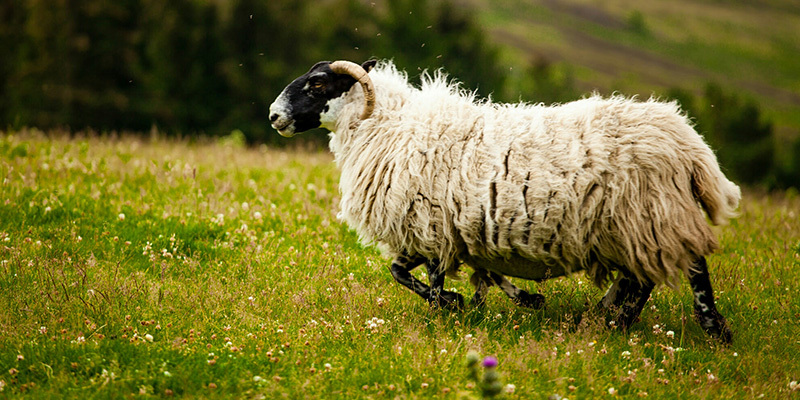 On Fair Isle itself, knitters first had access only to the varied colors of the native sheep. Natural dyestuffs were eventually imported from the North Sea trade routes. The early museum examples of Fair Isle knitting use a limited range of colors: natural Shetland black and white, imported indigo for blue, madder for red, and local plant dyes for yellow. The introduction of synthetic dyes in the 1920s widened the palette. By the 1980s, when Alice Starmore’s landmark Book of Fair Isle Knitting (affiliate link) was published (Taunton, 1988), Shetland wool was available in hundreds of colors. The style was a sophisticated, painterly blending of pattern and background colors. When I visited Shetland this past summer, the look was trending back toward lively contrasting colors. Begin your project with just two of your colors, using small-footprint peerie patterns of just a few rows. Doing so will give you a chance to practice your technical skills and see how some of your color choices work. Follow with a larger border pattern using more of your colors. Arrange each color group in a reflecting order around the center. Traditionally, center rows were all of one color or a single center row was tricked out in a wild color. This oddball color—I call it “poison,” borrowing a term from rug-hooking—can accent and emphasize the broader palette by contrast. Have some fun! You should now be well on your way to continuing the fine knitting traditions of Fair Isle. 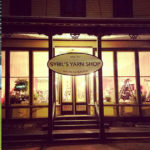 This article was originally published, in its entirety, in the 2011 spring edition of Interweave Knits. Check out the second half of this piece here. Blog posted November 18 2016; updated March 1, 2019. Hit Your Fair Isle Sweet Spot in the Interweave Store!